Hello beauties! It's finally December and I'm really excited. 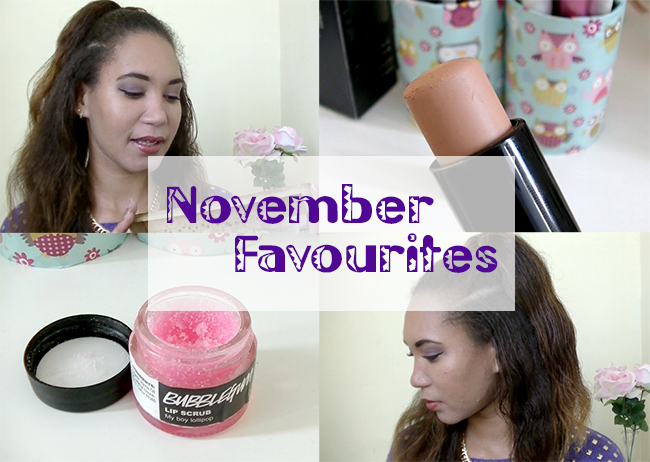 I know I don't do monthly favourites each month, but last month I was able to get some bits together and film a video. I'm slowly getting into the whole filming stuff and I really hope you'd stop by, check out my videos and maybe subscribe. I'm going to attempt the weekly version of vlogmas, and if it is the slightest bit interesting, I'd be uploading that each week as well as some other videos I'm working on. But for now, enjoy finding out what I was loving and constantly reaching for in November. Don't forget to enter the 3 year blogiversary giveaway week 1. Let me know what you've been loving and reach for a lot in November.